Why Am I Alone? I am Fantastic! Before I begin, know you are fantastic, and don’t forget that! There are no shortages of web articles (I looked) that will tell you you’re not good enough and how it’s your fault you’re not in the relationship you want — or in any relationship at all. All these somehow imply that you are not quite ready or measure up to some secret rules of the Universe that says you can be in love. I completely disagree. Sort of. We all have stuff to work on but that doesn’t mean you cannot be in a meaningful relationship. However, I strongly believe that you are responsible for your life. There is always new action to take, and in many cases, action you have avoided to be in a relationship. Try something new to get new results. The most important idea you should take is: you are here for a purpose and relationships with others is part of that. Put yourself in the game by doing something different. Embrace the ideals of love and consciously let love in. And yes, there is more discussion on the video below. I will also continue along the Tree of Life to teach you about Tiphereth, translated as Beauty. 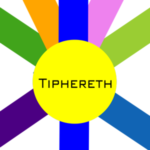 A couple of the key bits: 1) Tiphereth, in the Golden Dawn system, is one of the significant goals, and it is a symbol of transformation up the middle pillar, which is the balanced form of giving and getting. 2) It also resides in the same group with Chesed and Geburah, a triangle that deals with relationships and moves beyond ego. Definitely check out the last six minutes of the video above to learn more about Tiphereth. 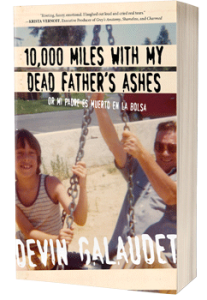 Ask your burning questions about love and leave a comment below — and more on http://devingalaudet.com.